Flamingo Gardens wildlife sanctuary and botanical garden in Fort Lauderdale, (Davie) Florida, is not-for-profit 501(c)(3) organization. We depend on your support to help sustain Flamingo Gardens botanical gardens and care for the animals in our Everglades Wildlife Sanctuary. Please do not donate wildlife online. If you wish to inquire about donating an animal, please call (954) 473-2955 during business hours. Donations may be made directly from Donor-advised Funds (DAF) using the easy-to-use widget below, this link, or you may suggest Flamingo Gardens as a recipient for a grant from your DAF. 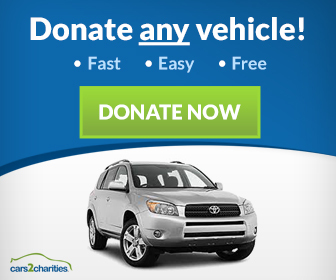 ​To donate your unwanted vehicle, please click the 'DONATE NOW" button below and be automatically redirected to our Vehicle Donation Program page, located at Cars2Charities.org! Click this link to download an Annual Gift Form to mail or fax. If you or your company wish to donate product, material, or equipment, to Flamingo Gardens please contact Donna Ogdon Chen, Director of Development & Membership, at 954.473.2955 x127 or email membership@flamingogardens.org. Many Employers will match your donations to Flamingo Gardens. Use this easy form to see if your employer will match your gift.